Sunday, May 2, 10 a.m. 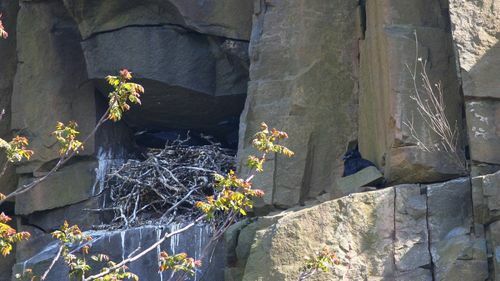 This free two-hour nature walk at Laurel Hill County Park will take a look at the nesting Common Ravens and their hatchlings, a nearby Osprey nest, plus all the neat birds hanging out along the Hackensack River. We’ll meet at the parking lot beneath the cliffs at 10 a.m. (directions are on meadowblog.net in the left-hand column), or you can also meet us at the visitors’ parking lot at DeKorte Park in Lyndhurst at 9:40 a.m. and we can carpool. The walk is run by the N.J. Meadowlands Commission and the Bergen County Audubon Society. Check meadowblog.net for last-minute updates and weather advisories. To rsvp, contact Don Torino of the BCAS at greatauk4@aol.com or 201-636-4022.